Durant’s Point forms an extensive marsh on the west side of Hatteras Village, providing a natural buffer for the village — dissipating storm and wave energy — while protecting water quality and fisheries habitat. A point of land adjacent to Durant’s Point protects the entrance to Hatteras Harbor. This point of land was threatened by a high rate of erosion. 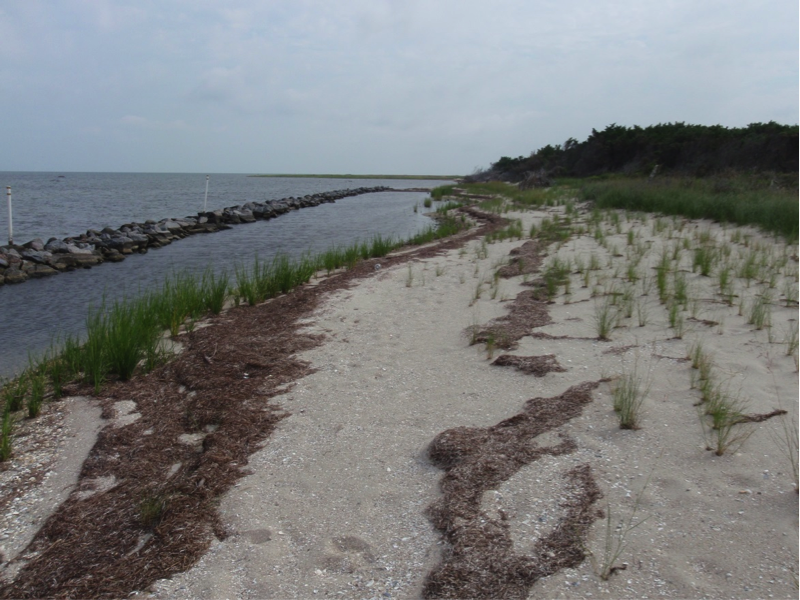 In 2009, the North Carolina Coastal Federation partnered with the landowners and contracted a local marine engineer to develop a living shoreline design. This project involved stabilizing the shoreline with a low-profile granite sill. 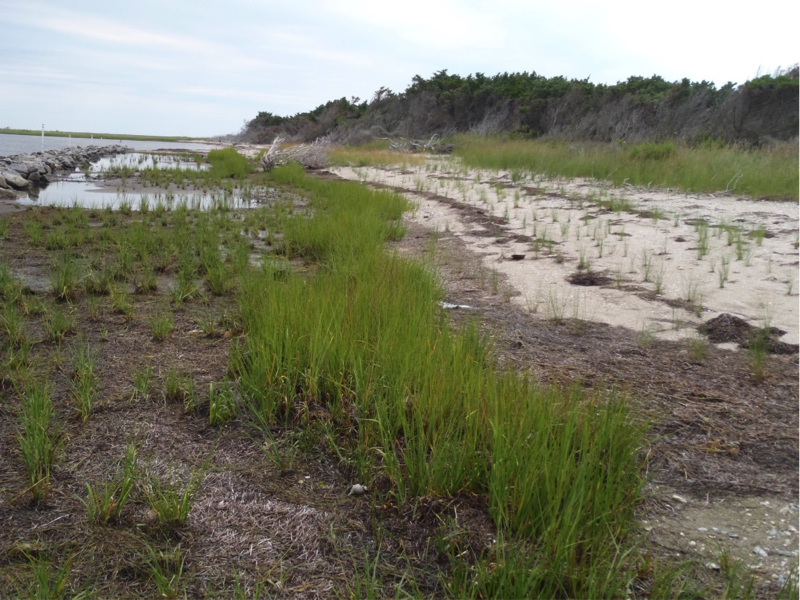 The sill was placed 30 feet offshore, and the shoreline was regraded for marsh grass creation. 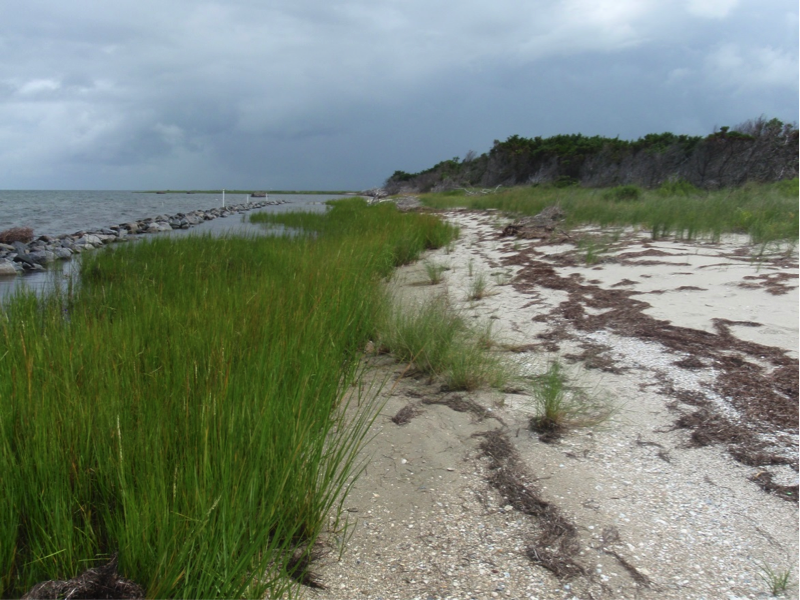 The project protects nearly 330 linear feet of shoreline and created and protects nearly 1.2 acres of coastal marsh. Construction of the living shoreline was a community effort. 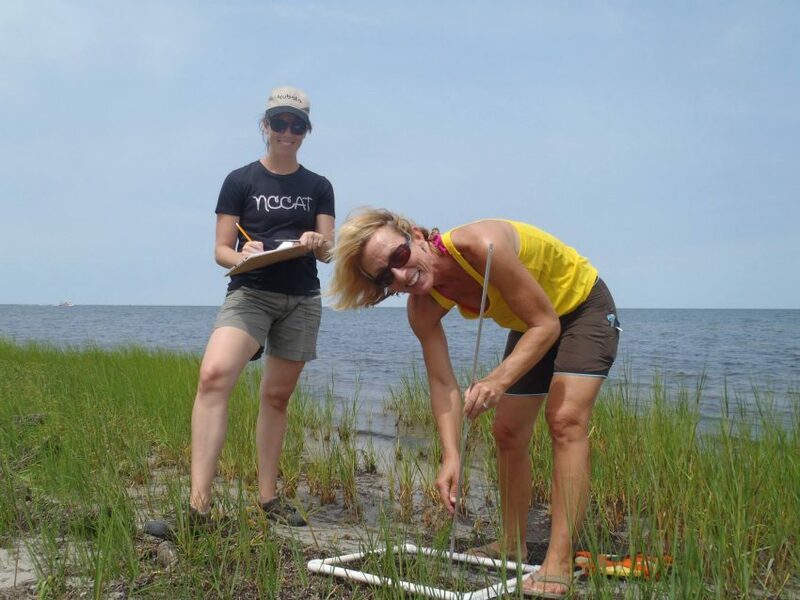 Students learned about marsh and oyster habitat and ecology and their value in enhancing water quality throughout the school year. As an end-of-year field trip, the students helped plant marsh grasses behind the sill. Student and adult volunteers donated more than 300 hours of their time to this project. 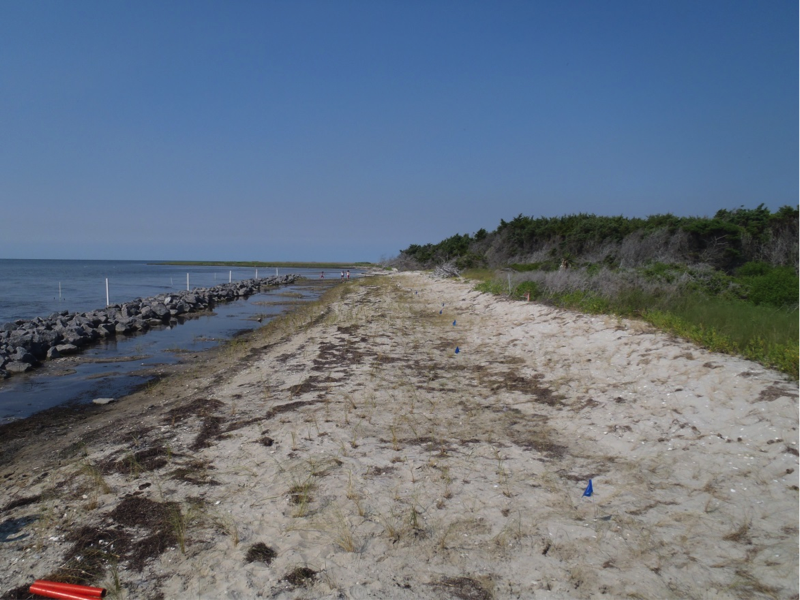 The Dare County Commissioners and Hatteras residents and businesses also enthusiastically endorsed the living shoreline. Because Durant’s Point is not accessible by road, transporting students and volunteers to the restoration site was a challenge. Fishermen offered the use of their boats, and two local outdoor provision companies, Kitty Hawk Kites and Hatteras Watersports, donated use of their kayaks. 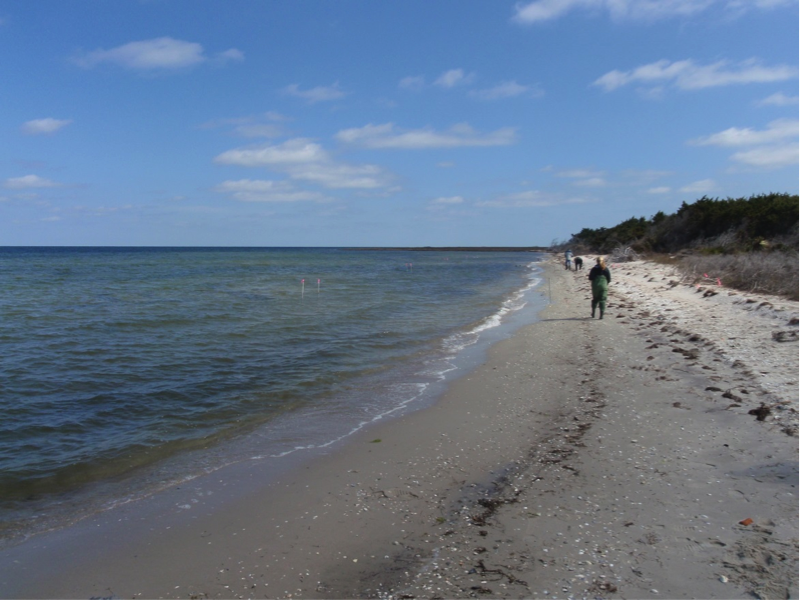 Durant’s Point living shoreline is one of the case studies used in a recent report assessing why people choose natural infrastructure for protecting and restoring shorelines. The marsh continues to fill in and the sill is doing its job. The federation continues to bring out groups to monitor the project and fill in marsh plantings as needed. Hatteras residents and visitors are enjoying the marsh and all its denizens. Since its initial construction the sill has weathered four hurricanes, a summer of drought and countless tropical storms. The sill has held up remarkably well, and photos from our recent monitoring effort show how the plants are filling in to create habitat for fish, crabs, shrimp and other juvenile organisms.